Hospitals in California know the drill, seismic renovations or new construction to meet seismic codes require a sturdy solution to storage. 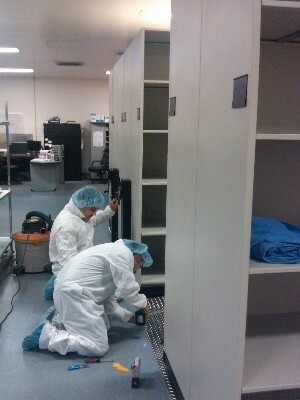 High Density Mobile Shelving Systems with seismic anti-tip tracks allow hospitals to meet those strict requirements. 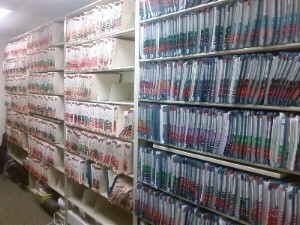 While the paperless medical record has yet to come to full fruition everywhere, hard copy storage of medical records, radiology, pharmaceuticals and medical supply can be accomplished in a cost-effective way with minimum impact on valuable medical floor space. 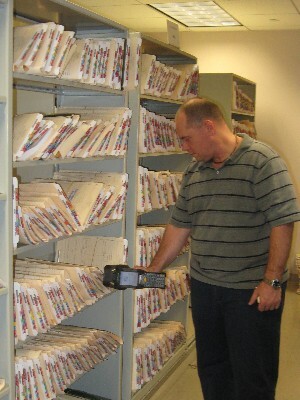 File storage systems for medical records include high density mobile filing systems for large quantities of files. 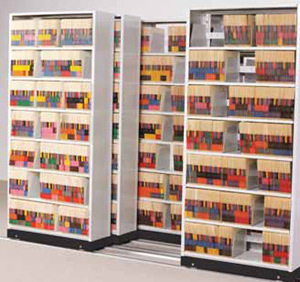 For small volumes of records, vertical carousels such as the Rotomat Office Carousel provide a secure, speedy storage system. Hard copy storage of x-rays, MRIs, mammogrophies and the like requires a system capable of holding large volumes of weight. Where the floor can handle the load, a high density mobile shelving system fits the bill as these dense films have a tendency to overload other systems not capable of handling the weight. Pharmacy Shelving Systems typically handle small bottles of pills, however, with the influx of new pills constantly coming to market, pharmacies find themselves searching for ways to maximize space for storing the vast supply of medicine available. Fixed Shelving Systems are the norm for pharmacies, however Lateral Mobile Shelving Systems and High Density Mobile Shelving Systems are now allowing pharmacies to stay in their existing space with a maximum storage capacity. Medical Supplies are purchased in bulk from buying groups to eliminate supply shortage possibilities. 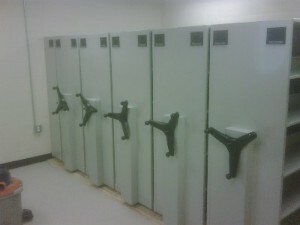 With a surplus in supplies, medical facilities need an increased space requirement for storage. High Density Mobile Shelving Systems compact to half the size of fixed shelving systems and vertical carousels utilize the vertical height of a facility, leaving valuable floor space open for other requirements.